Recently, I needed to verify someone's gmail address. I had guessed that their gmail address might be same as their Blogger URL. But I couldn't send them a mail until I was sure. 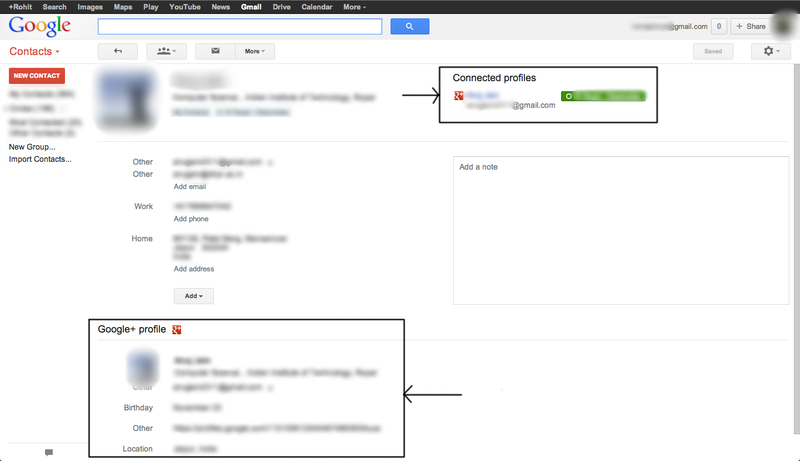 Then, I remembered that gmail shows your contact's Google+ profile. I added their gmail address to my contacts and voilà their Google+ profile showed up. I later realized that this can be a privacy issue. A lot of people have their email IDs same as their Twitter or Facebook usernames or their blog addresses. Now you have a way to verify that. 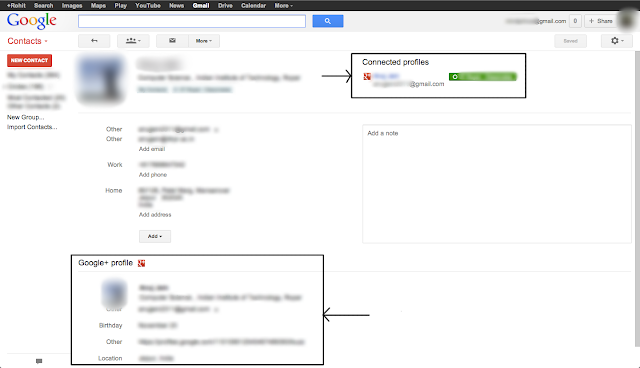 Even better (or worse), you can add a random gmail address to your contacts and find out to whom that address belongs. Was this supposed to be a feature? Yes, and I actually liked having people's picture displayed along with their email address. But until they give an option to turn this "Let others find me by my email address" off, it is a privacy issue.